In Arizona, disclosed dual agency is a practice allowed by law wherein one agent or broker provides services to both buyers and sellers in the same real estate transaction. 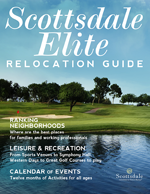 According to the National Association of Realtor’s Code of Ethics and Standards of Practice, “Realtors® may represent the seller/landlord and buyer/tenant in the same transaction only after full disclosure to and with informed consent of both parties.” But just because dual agency is legal doesn’t mean it’s in the best interests of all parties in a Scottsdale luxury real estate transaction. In fact, it’s been demonstrated in countless court cases within Arizona and throughout the country to be a glaring conflict of interest. Exclusive Arizona Buyers Agents eliminates this risk by providing elite service to Arizona luxury real estate buyers only that protects their interests. Everything about the practice of dual agency incites conflict. In dual agency practice (which, when disclosed, is actually legal in Arizona), relationships are void of traditional fiduciary duties of loyalty and full disclosure of details. Even the real estate agent’s code of ethics and practice actually add fuel to the fire against the practice of dual agency. Real estate/broker loyalties are split, which makes it a significant challenge to establish a transparent, loyal relationship fully benefiting the Scottsdale luxury real estate buyer. Whether it’s single broker representation (two agents under same broker represent buyer and seller) or single agent dual agency representation (when one person represents both the buyer and seller), it all boils down to one entity getting both commissions while providing limited service.